I have a yummy dessert from our the Simple Acres kitchen to yours! 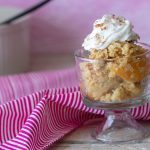 If you have caught on with the Instant Pot craze you will LOVE this Instant Pot Peach Cobbler! Delicious, simple and quick is this recipes motto! 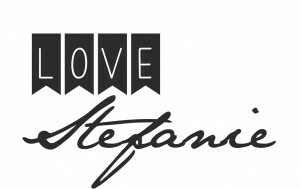 Have you fallen in love with Instant Pot cooking? The ease and simplicity is amazing! 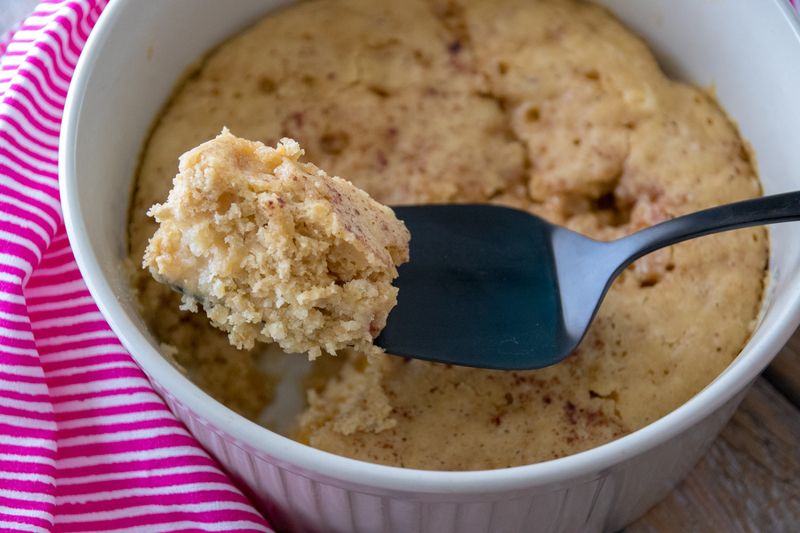 Desserts and cakes and breads can be tricky but I tested and tasted this recipe until it created a delicious, fluffy and moist cake topping! You will love this! Here is what you will need! 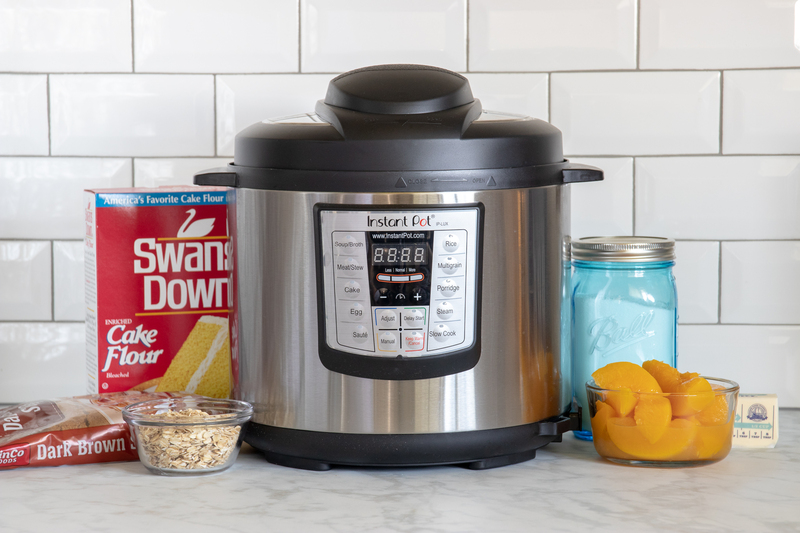 Get your Instant Pot by clicking here! First, place peach pie filling in a small Pyrex circular bake-ware about 8″wide. Make sure it fits inside your instant pot canister. ** Fold a piece of tin foil into a long strip of foil that will go underneath the bake-ware dish and be long enough to hold onto either side when you place this dish inside the Instant Pot. This allows you to place the dish inside of the pot and allows you to have created “handles” to pull out the dish once it is done with out burning yourself on a hot dish. Also cover your dish with tinfoil to prevent the evaporated water from pooling in your dessert dish. 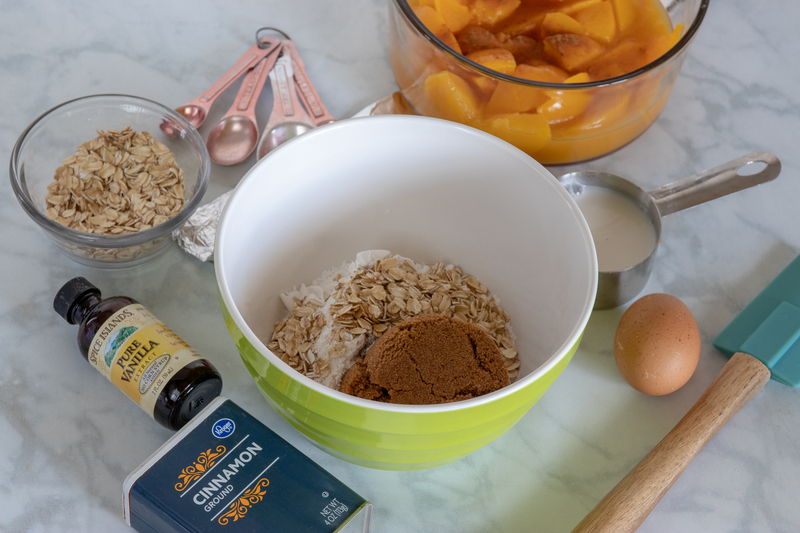 In a separate bowl mix together the flour, sugar, egg, milk, butter, salt, baking powder, vanilla and oats.Then place cake batter over peaches. 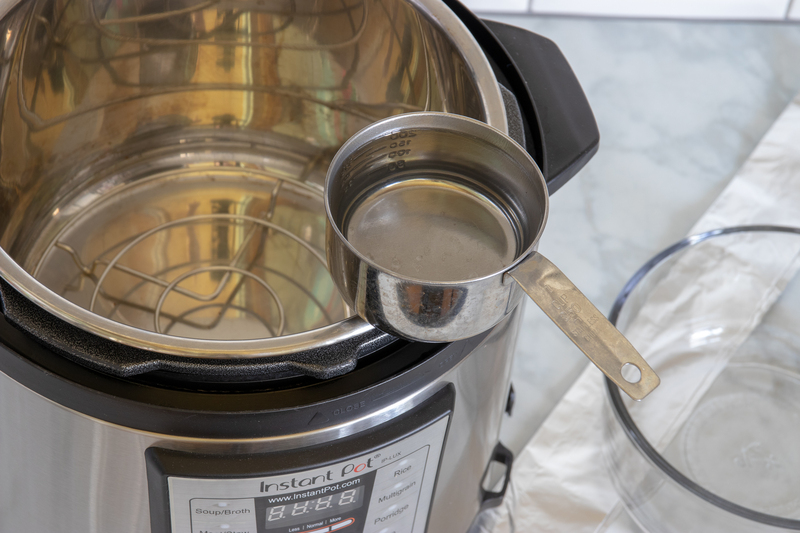 Next, you will want to pour 1/2-2/3 cup of water into the pot, then place the trivet that came with your Instant Pot in the bottom of the pot. Place your bake-ware dish inside your Instant Pot on top of the trivet with your tinfoil strip under the bake-ware you created and cover it with tinfoil. Place the lid on your Instant Pot and cook on manual setting for 30 minutes.Keep the steam valve sealed. 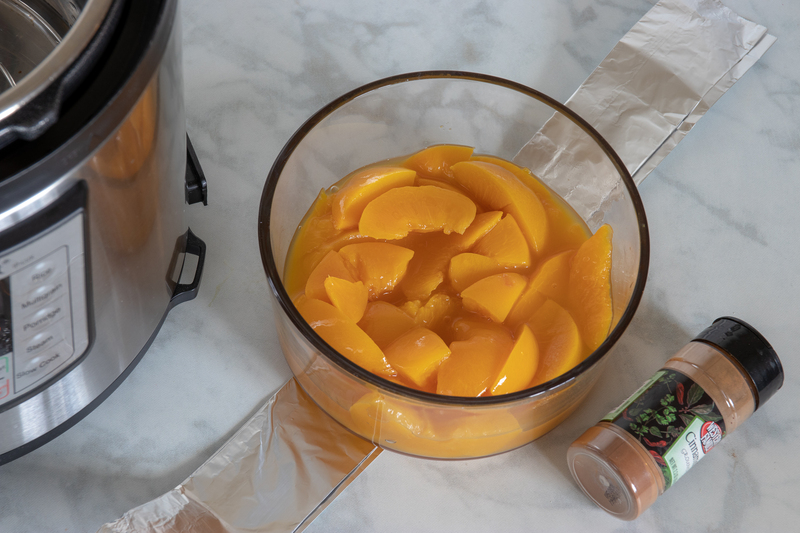 Once done let it slow release for 10 minutes and you are ready to serve your delicious and moist cake topping peach cobbler! 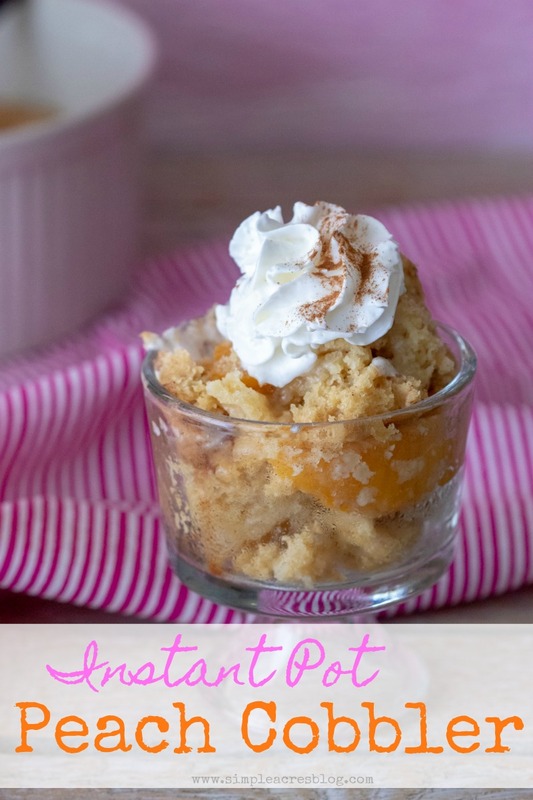 This recipe creates a simple cake topping Instant Pot Peach Cobbler that is delicious with whipped cream and ice cream. A delicious rendition of a traditional dessert. Place peach pie filling in a small Pyrex circular bake-ware about 8"wide. Make sure it fits inside your instant pot canister. 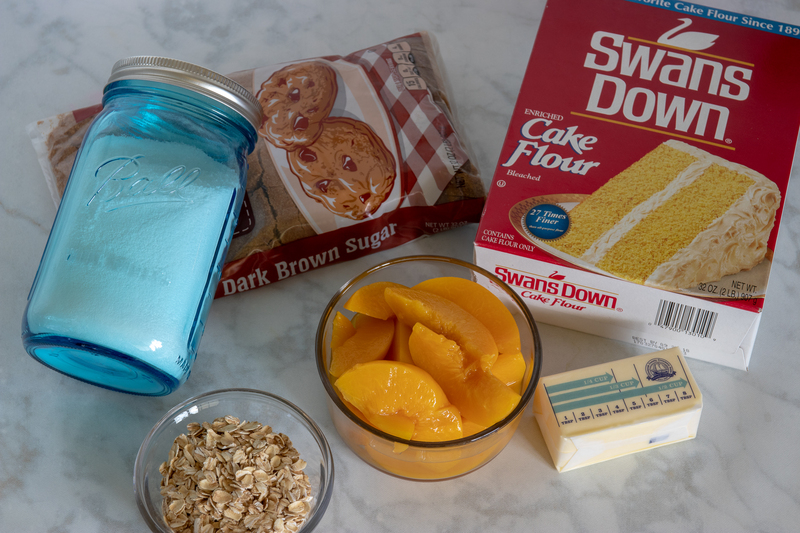 In a separate bowl mix together the flour, sugar, egg, milk, butter, salt, baking powder, vanilla and oats.Place cake batter over peaches. Pour 1/2-2/3 cup of water into the pot, then place the trivet that came with your Instant Pot in the bottom of the pot. Fold a piece of tin foil into a long strip of foil that will go underneath the bake-ware dish and be long enough to hold onto either side when you place this dish inside the Instant Pot. This allows you to place the dish inside of the pot and allows you to have created "handles" to pull out the dish once it is done with out burning yourself on a hot dish. Also cover your dish with tinfoil to prevent the evaporated water from pooling in your dessert dish.Place your bake-ware dish inside your Instant Pot on top of the trivet with your tinfoil strip under the bake-ware you created and cover it with tinfoil. Place the lid on your Instant Pot and cook on manual setting for 30 minutes. Keep the steam valve sealed. Once done let it slow release for 10 minutes and you are ready to serve your delicious and moist cake topping peach cobbler!